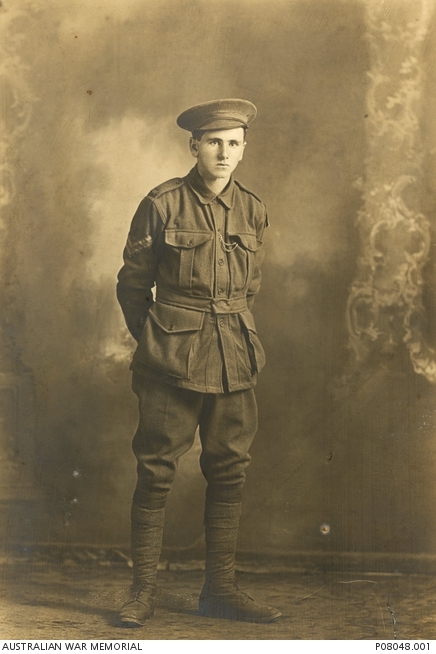 Studio portrait of 5066 Private (Pte) Charles Henry Nolan, wearing a uniform with corporal’s stripes, 19th Battalion of Rozelle, NSW. A butcher prior to enlisting in January 1916, Pte Nolan embarked with the 13th Reinforcements on board HMAT Ajana (A31) on 5 July 1916. 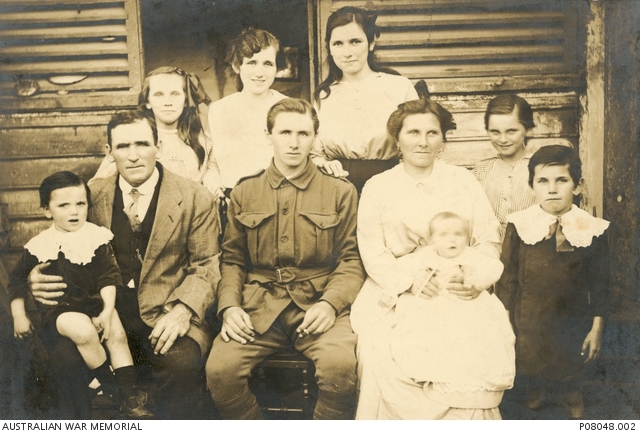 Pte Nolan was reported missing in action at Bullecourt, France on 3 May 1917; in December it was confirmed that he had been killed in action. He was 19 years of age. According to family records, he had been asked to provide letters from his mother and father giving permission to enlist.